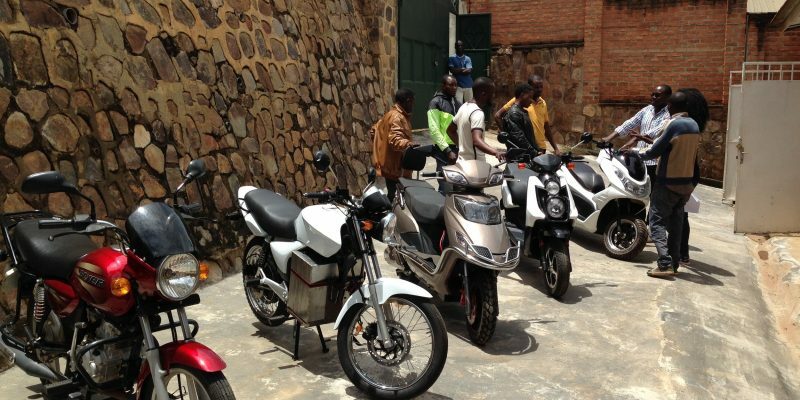 The American company, Ampersand, is testing the use of electric motorcycles in Rwanda. The engines will mainly be used to transport the populations of Kigali, the capital. The Rwandan authorities take the issue of air pollution very seriously. In fact, under the leadership of President Paul Kagame, on September 22, 2018, the “Car-Free Day” was very well attended throughout the country, particularly in the capital Kigali. In this city of more than 1.13 million inhabitants, there are several modes of transport. But the populations are in favour of motorcycle taxis, which go quite fast, since they are able to wander between cars during traffic jams. Most cities in sub-Saharan Africa are experiencing this phenomenon which, in an environment marked by high youth unemployment rates, is becoming the main professional activity. In East Africa alone, motorcycle transport employs 3 million people. The number of these two wheels is also a significant source of pollution. It is therefore to help reduce the environmental and health impact by combining a strong business interest that Ampersand, an American company, has started marketing trials of electric motorcycles in Rwanda. They are intended for transport within the city. Ampersand has decided to name these two wheels “e-Moto”. According to the American company, after a charge, the e-Moto can travel 65 km with passengers and at a speed of 80 km/h. A motorcycle taxi driver can therefore cover an average of 188 km during the day. At the very bottom of the tank, the two-wheel drive has a box containing a rechargeable electric battery. However, it will be necessary to wait until the end of 2019 for the start of effective marketing. For the time being, the Rwandan authorities already welcome this initiative. “Rwanda welcomes Ampersand’s efforts to develop clean, low-carbon motorcycles for our citizens. These electric motorcycles emit less CO2 than petrol motorcycles, they are the best solutions to the air pollution that currently affects our environment,” says Coletha U Ruhamya, Director General of the Rwandan Environmental Management Authority. In addition to being less polluting, the bike is more accessible to drivers. To obtain one, it will cost only between $1,300 and $1,400, while a regular gasoline motorcycle costs $1,900. The e-Motorcycle requires less maintenance and saves its rider up to $1,100 per year. An amount that corresponds to a portion of the fuel expenses. Even if the company does not give precise details, however, it estimates that with e-Motors, the number of traffic accidents might slightly decrease in Kigali. All these advantages could boost sales of the two electric wheels, thanks to motorcycle taxi drivers. There are 25,000 in the Rwandan capital.